For quite a while now, you've been waiting for your small business idea to finally start panning out, and now it has. Woohoo! It seems like there is ten times as much stuff to do as before. You have to worry about sales people, vendors, merchants, customers, contracts. You are really busy; all of the time. Pretty cool, huh? What you might not be considering right now is that while you are doing all of this really important work, you are also generating an accounting paper trail, and that document trail can result in major issues later on if you don't handle it correctly. Even though you're actively doing the important things, you're going to have to do the smart thing and learn a couple of paperwork tactics to keep yourself out of trouble. Since you've begun expanding you probably already have some kind of loose system you're already working. You might use stickers, the backs of menus, or scribble things on the back of dry cleaner receipts. There's nothing wrong with that if it helped you get going, but now that you are going, you need something a somewhat more, well, effective. You need to be sure that your accounting system is going to be able to hack it for where you want to take your business. If your accounting "system" involves post-it notes and a shoebox, it's not going to make it. The main thing you need to choose is the sort of accounting system you want to use. Back just a few years ago, business founders didn't worry at all about an accounting computer program -- that's what you paid your bookkeeper for. Then they came along with all of these big programs you loaded up on your home personal computer. You can easily still come across these at your local supplies store. But this isn't the year 2000 any more, and times have changed. These days most anything you want to do is on the internet. You enter data using web pages on the net, then your bookkeeper or accountant gets online and does his work. So the decision really amounts to how "close" you would want to be to the fuss: do you want to have to gather all your records together, put tags on all of it, drive it to a bookkeeper so they can enter it on their system? How about put it in a big collection by the PC at your own home to look at one day? Or maybe you're capable of entering stuff as you do it using your cell phone? Next you need to decide what the relationship is going to be between you and your qualified professional. Are you looking for somebody there every day caring for things? Or do you just simply need an annual review of all your data with a CPA? Most businesses start with just a small amount of professional help and then increase as things continue to grow. Little baby steps. It is very easy to overpay for professional help as you are getting started out. For example, if you're just now barely making enough to pay yourself and a couple of other employees, go with an internet accounting program and meet with an accountant once a quarter or so. On your preliminary meeting they can show you how to configure and use your software and teach you how to do it without any help. Then each time you meet again they can help you tweak your system. On the other hand, if you have plenty of employees and have a great deal of bills and orders happening everyday? Start thinking about an in-house bookkeeper, or at best a bookkeeper that lives in your area that you can stop and visit a couple of times a week. Have them pay the bills and handle the categorizing and creating reports as needed. It's great to be that busy, but also realize that you're going to be learning more about accounting than you anticipated. When choosing a professional, you should definitely check references and make certain they are bonded. That way if they run off with your money the insurance company will cover your losses. 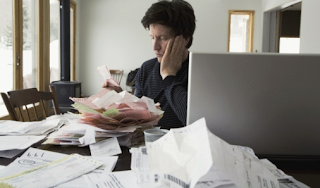 Never make use of a bookkeeper or accountant without verifying their insurance coverage! It's simply not worth the danger. You'll also need to make certain that they will have time to talk to you whenever you need. Many small bookkeeping outlets oversell the amount of help they provide for their staff size. Then when you need help nobody is available. Not a happy outcome for you. From personal experience and speaking with several small business people, the best way to control all of that information is to establish a habit each day of entering it into your accounting application. Waiting until the end of the week is too long -- you will not be able to recall what it all was for, and it is very easy to forget things. A little bit of discipline can go a long ways. One manager puts all receipts in his back right pocket in his trousers, then every night immediately upon arriving back at home or hotel room he makes sure he gets it all into his online application. Another founder uses his iPhone to take snapshots of every receipt he gets and has his assistant enter it all in. Whatever your system, find something simple and easy and immediate and get into the practice of utilizing it. You certainly don't want to be putting in the same information over and over, so try to look for systems that use the same data for many different purposes. That bill you have got from that out-of-state supplier also provides their contact details. That should get into your contacts system. The check you gave that office temp agency means you could have located a great source for more temps. Better put them in your vendor system. However you work it, you should only enter stuff one time, then have it appear when you really need it, wherever you happen to be. Have your contacts list connect with your Android phone, or have the crucial bills you need to pay or payments you'll receive conveniently appear on your web calender. Computers can do all this, if you only take the time to set them up. Lastly avoid getting caught in a trap of thinking you either need to pay a very pricey bookkeeper or do it all on your own. It's the 21st century, and you can easily find those people who are willing to help you all around the world. 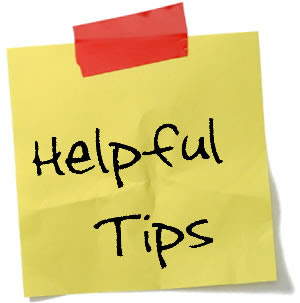 A big performance tip is to employ a virtual assistant. They can be found anywhere across the world. Take a look around for them on the net. They can input your data, make sure the synchronizing happens, arrange appointments, take telephone calls, and do a whole lot more. They can do it at a tiny fraction of what you'd pay somebody locally. With work so cheap overseas and the entire world connected, we're all having to figure out how to manage those that we may never meet. Welcome to the 21st century. Whatever the type of business you are in -- farming, artwork, hair styling, or dirigible rides -- you really need to become familiar with a few tips and tricks to manage all the paperwork you generate. Oddly, the more you learn and excel at the habits of making the paperwork run smoothly, the more time and energy you'll have for doing the most important thing: managing and growing your business. Do Self-Employed People Have to Write their own Paychecks? So you've finally started your own internet business. You've printed some fliers, or perhaps created a webpage. Better yet, you've found customers! Money is starting to flow in. Sure, probably not a bunch, but some money beats no money at all, right? What a lot of people will be thinking of right now is how to continue to advance their business. Once you start the profit stream, how do you make it into a river? But that's not the only thing that you should be thinking about. Yep, I'm talking about taxation, and paperwork, and planning, and all those other things that are required to keep a business running smoothly. If you've finally found the golden goose, you're probably not thinking much of hiring an accountant. After all, just how much paperwork is necessary, anyway? For instance, do small business owners have to write themselves paychecks? Just like the rest of these paperwork questions, the devil is in the details. First, certainly, you need to pay your business expenditures out of the money you've made. Once that's looked after, generally, the remainder is profit. So yes, you should write yourself a paycheck out of that profit. When you can. However you don't always have to do it that way. Many self-employed people pay themselves an incentive from time-to-time, perhaps in exchange for landing a new contract. You may also decide that some sort of company-related (but also fun) travel might be required. As owner of the small business, you have a primary responsibility to tend to the business, and things like classes or bonuses can be a great way to keep yourself encouraged and things moving along. The key for many business owners is selecting just when to pay themselves. If you have a cyclical business, where you might make loads of money one month and not as much the next, a good thing to do is probably hold back your profits until the next month so that you can handle your business expenses first before writing yourself a check. Of course, this is a lot easier said than done, and a lot of businesses have very unpredictable income streams that make planning for things like payroll almost impossible. Once again, an online system lets you select how you want to do it, whereas if you contract out with a neighborhood accountant they're going to want some sort of standardized plan of service. It's certainly not something you can just ignore, as taxes and penalties escalate quickly and you could end up going out of business because the federal government takes all you have. Whatever you do, expand your business first. As the old saying goes, you can deal with a lot of problems with more sales. Concentrate on building the machine that is your business, but additionally keep a very watchful eye on all the paperwork demands too, because they can come and nip you in the rear if you aren't very careful. Remember: paperwork is important, so let somebody else do it. Keep your eye on sales. Here's a little sales primer.